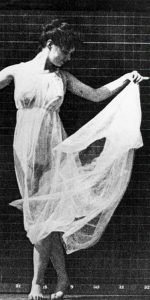 Isadora Duncan revolutionized the world of dance. During her too-brief life (1877-1927), she eschewed ballet to focus on natural expression, creating a new art form that has come to be known as modern dance. Her life story is a contrast of beauty, success, sadness and tragedy. 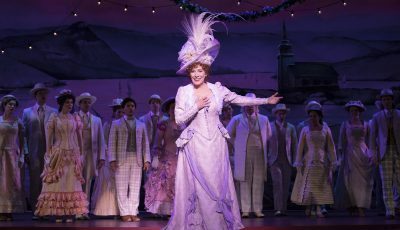 Born in California, she left America in the 1890s for a new life, and artistic acclaim, in Europe. She gained international fame, suffered personal losses (her children both drowned), and died in a horrible accident at the height of her career. Duncan has been called the Mother of Modern Dance, but she was also one of the most controversial figures in dance history. Her remarkable story has been turned into “Isadora,” a new full-length work created specifically for Russian ballerina Natalia Osipova, principal dancer of the Royal Ballet, former principal dancer with both the Bolshoi and Mikhailovsky ballets and a guest artist with American Ballet Theatre. “Isadora” will have its world premiere at Segerstrom Center for the Arts Aug. 10-12. Osipova selected the award-winning Mariinsky Theatre choreographer, Vladimir Varnava, to create a work that would respect Duncan’s own choreographic style while being inspired by her creative spirit to explore new ideas and expressions. Vladimir Varnava and Konstantin Fedorov created the libretto for “Isadora” It is being set to Sergei Prokofiev’s ballet “Cinderella,” which will be performed live by the Mikhailovsky Orchestra. Osipova said she selected “Cinderella” because Prokofiev is one of her favorite composers and “Cinderella” a favorite score. 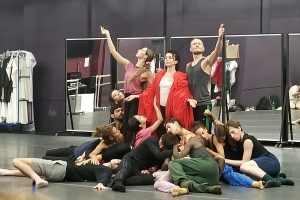 I had the privilege of being invited with a select group of other dance writers to watch part of a rehearsal of “Isadora” earlier this week. Sergei Danilian, one of the producers of “Isadora,” showed us the many costumes that had been created for the 20 dancers in “Isadora” before we observed the rehearsal. After the rehearsal, we sat down with Vladimir Varnava for a conversation about his piece. Osipova is a principal dancer with the Royal Ballet in London, trained at the Moscow State Academy of Choreography and, upon graduating, entered the corps de ballet of the Bolshoi Ballet, where she was promoted to principal in 2010. In 2011 she left the Bolshoi to join the Mikhailovsky Ballet as a principal. Osipova has appeared as a guest artist with companies around the world. For tickets to “Isadora,” visit SCFTA.org or call (714) 556-2787.